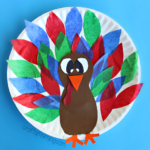 Alphabet crafts are my favorite kind because kids get to make something fun while being familiarized with a how a letter looks. 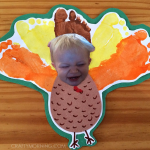 I found this great turkey art project from Heather on Instagram but she said it wasn’t her original idea. 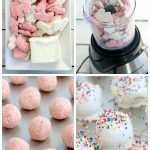 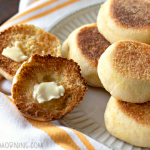 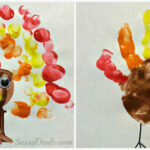 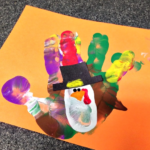 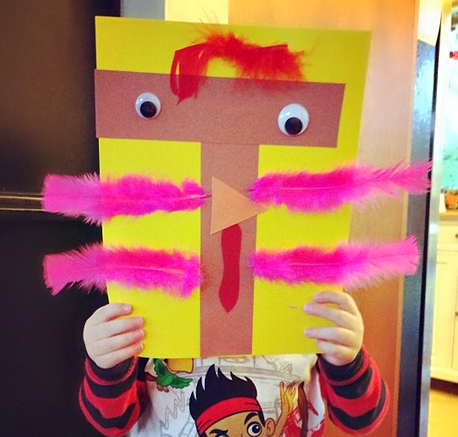 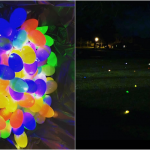 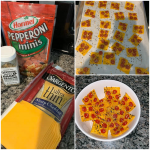 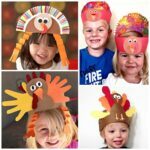 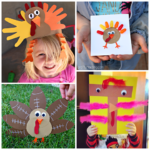 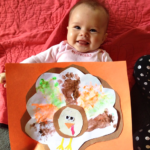 This Thanksgiving activity is great for preschoolers and toddlers to do! 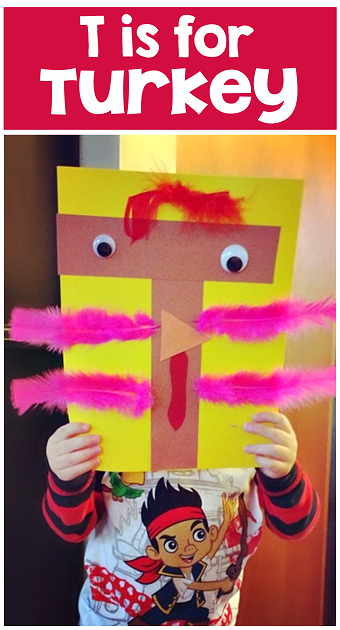 Have the kids trace the letter “T” onto a brown piece of paper then cut it out (you can also just cut two strips of paper). 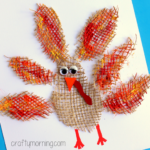 Glue it to a yellow sheet and start gluing on feathers. 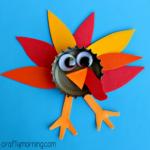 Finish off the little turkey with a beak, gobble, and some eyes!